For many years, the only place you could participate in a proper game of poker was in a land-based casi-no. When the internet started to become popular, the occasional online poker game could be found in-side of a chat room. However, these games had no secure way to store players cash, so the gameplay was purely recreational. Because of this, most gamblers decided to stick to playing in land-based casinos until technology advanced in the early 2000s. This milestone saw the release of secure online poker sites that were able to securely hold players money and let them bet against one another. When Chris Moneymaker, an amateur poker player, qualified for the World Series of Poker after playing a tournament online, gamblers began taking online poker more seriously. After Moneymaker won a whopping $2.5 million from the tournament, hundreds of thousands of players started testing their luck online. In this article, we explore online poker in more detail. 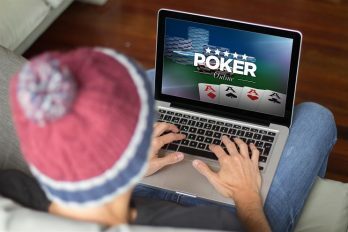 If you’re interested in playing a game of online poker, you’re probably wondering what you need to par-ticipate. Thankfully, the requirements are minimal. You’ll be able to play on most devices that you can ac-cess the internet on. If you’re playing from the comfort of your living room, a standard laptop will be suf-ficient, or for those interested in playing on the go, a smartphone or tablet should do the job, too. As long as your electronic device was built in the early 2000s or later, you should have enough processing power to enjoy a game without any problems. The amount of money needed to play is another question at the forefront of many gamblers minds. Like with most luck-based games, the amount of money you deposit into the game is completely up to you. If you’re an online poker novice, you may enjoy playing a couple of free-play money games until you’ve got a little experience. Games of this sort can be found on a number of casino websites. Once you know your stuff, you can begin depositing real money into the game. On average, most experienced players deposit £50-£200 into the game to keep them going for a while. For beginners, it’s important to remember not to exhaust your account in one go. If you’ve only deposit-ed a small amount of cash then it’s worth sticking to the smaller bet games until you’ve built up the bank a little more. 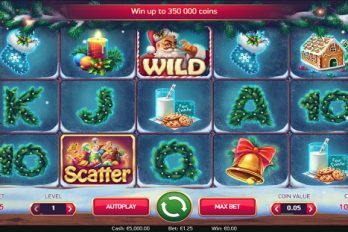 Some websites run cash games where it’s possible to play as low as 10p per go; games of this nature make your initial deposit last a whole lot longer whilst you’re getting to grips with the game. There are a variety of games out there that qualify as ‘poker’. The game is best described as any card game in which players hands are ranked by the cards that are dealt to them. Certain varieties of the game differ in the number of cards dealt, the ranking used, the amount of betting round offered, and the number of hidden cards available. Typically, the winner of the game is the player with the highest ranking hand when all cards are shown. Each game brings with it a unique set of rules, so let’s just explore the basics. Games such as Omaha and Texas Hold’em are known as community card games; in these games, each player shares part of the hand. In Stud games, however, each player is dealt individual cards, some of which are face up while others are hidden. Most poker games include a forced bet. In games of Omaha and Texas Hold’em, this is known as Big Blind and Small Blind, while in Stud the forced bet is referred to as the Antes and Bring-In. The forced bets are there to make up the starting pot at the beginning of a game. This gives players an incentive to win the hand right from the get-go. In general, the rules of online poker are exactly the same as the land-based games. 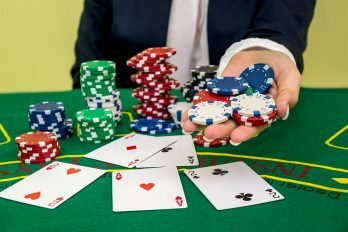 Online casinos will provide a detailed set of instructions for each game, though, so if you’re feeling a little unsure you can top up your knowledge before getting involved. When it comes to actually playing, there are a number of different ways you can get involved. In tourna-ment poker games you pay a buy-in fee in exchange for a stack of chips. Your chips are used to bet throughout the game. As soon as you have no more chips, you are out of the tournament. The winner of the tournament is the player who collects all of the chips. Online poker tournaments are seen as the cheapest way to potentially win big. It’s not unheard of for tournaments with a £10 buy-in fee to award over £200,000 to the eventual winner. Best described as smaller tournaments, online Sit and Go’s begin as soon as enough players are seated at the table. Due to the sheer volume of players, Sit and Go’s are continuously being played at online casi-nos. This type of game takes much less time than a large tournament, though the rewards at the end are generally smaller. Cash games are the quickest type of online poker game. In cash games, the chips you are playing with have real value. Once you’re given your chips you have the option to cash out at any time, meaning you can participate for a few minutes or a few hours. Cash game players tend to enjoy the flexibility of this style of game, compared to tournaments where you are locked in until the end. Whether you’re an experienced gambler or a complete novice, online poker can be enjoyed by players of all sorts. Due to the addictive nature of online gambling, it’s imperative to consider your financial situation before beginning a game. If you’ve got money to spare though, online poker can offer competitive fun to gamblers of all ages.